They are in you. Let’s pull them out. Someone needs to hear them. 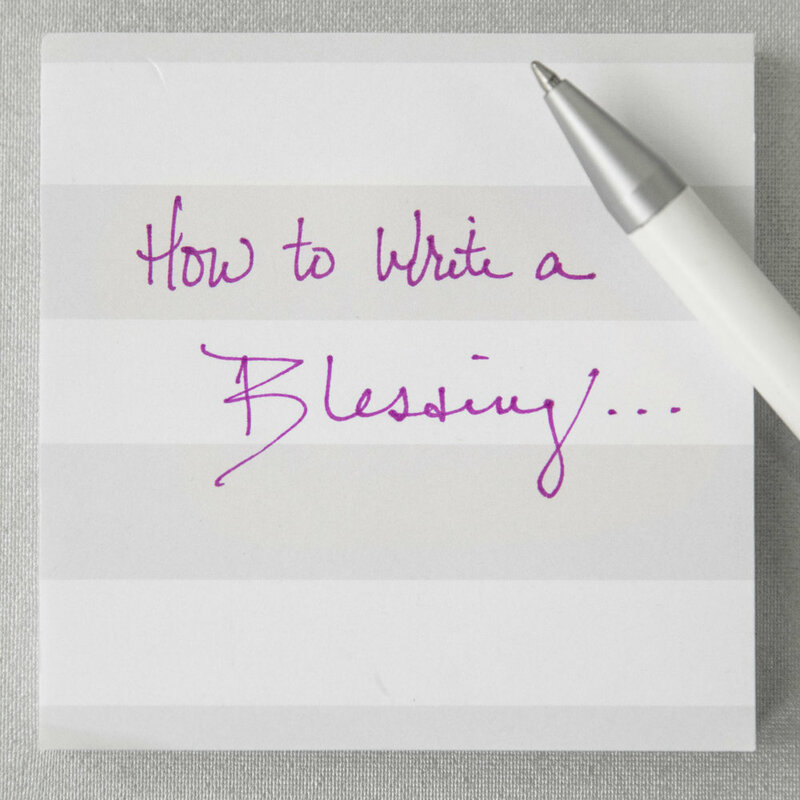 I’ve been asked by several followers if I had a guide that would help them begin to write a Blessing. At first, I must admit I was a little overwhelmed by the responsibility of creating something like this, but then I realized, I already had it! For our Footstone families who want to include the Blessing in the interaction of their session, I have four questions that I ask them about each of their children. These four questions were inspired by watching the Privette family speak Blessings over the years. There is a basic format they use each time. 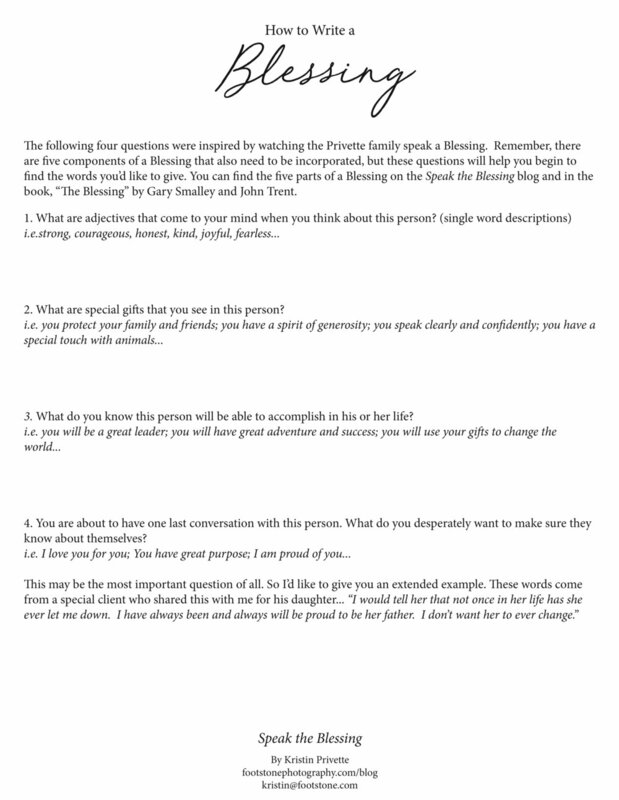 So I’m going to share with you the four questions I use to pull words of Blessing out of our Footstone families. We laugh, we sometimes cry, but we always find those special words, those special gifts that they see in each of their children. However, I want to make sure you understand that this isn’t exclusively for a parent to use for a child. These are questions anyone can ask themselves to start playing “the game” I shared about in my last post. I am convinced we have to train ourselves and intentionally look for these qualities in people. If you memorize these four questions, I can promise you that you’ll begin to see into the true heart of people... and then I beg you to tell them what you see. These are my questions. There is also a pdf version at the end of this post that you can download. As always, I’d love to hear your thoughts.